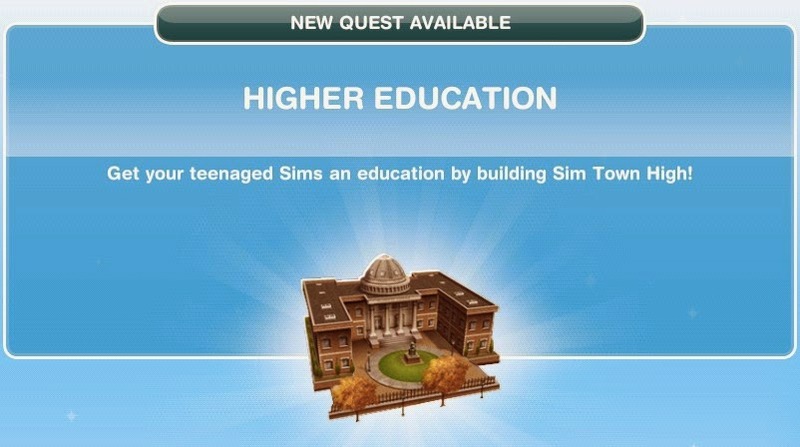 Higher Education: Unlocked at Level 19 to gain access to the High School building on the Town Map. No time limit or reward for this quest. (The residents of Sim Town are protesting because they want Sim Town to start setting up the facilities to educate teenagers. 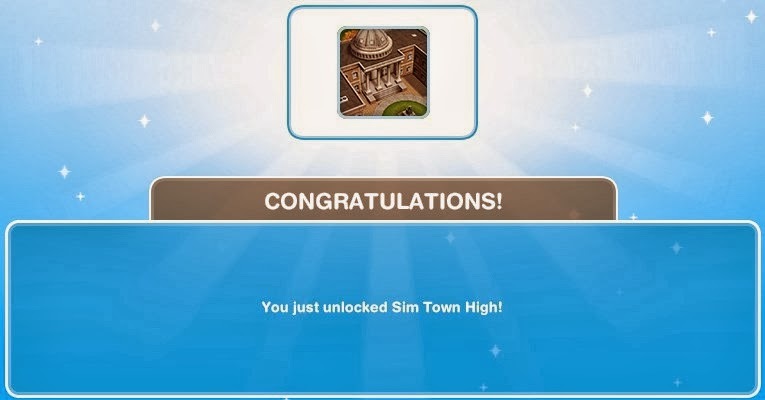 Congratulations you unlocked Sim Town High!